This site provides ratings, reviews, test scores, per pupil expenditures and other helpful information on each school in your public school district. You can type in your address and it will give you a list of all of the schools in your public school district. 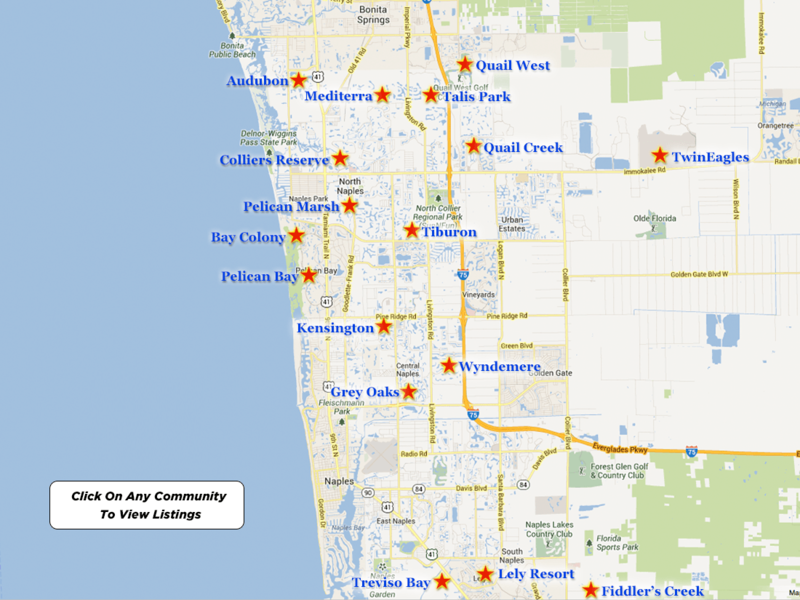 Some of the public schools in the vicinity near Tiburon are Pelican Marsh Elementary School, Pine Ridge Middle School and Barron Collier High School. These scores all rate highly on academic content, student to teacher ratio and percent of students who attend a college or university after graduation. Naples Christian Academy is one of the area’s private schools. This school is focused on instilling the importance of Christian values, faith, education, love and community service in all of its students. It offers preschool, elementary and middle school students the option to attend and excel in their academic and athletic programs. The super convenient, easily accessible location of homes for sale in Tiburon makes it a great place to live and be able to explore all of the surrounding areas including Naples and Marco Island. There are lakes, bike paths and jogging trails located throughout the community for the residents to enjoy. The area enjoys a year round sub tropical climate with sunny days and warm nights with balmy breezes blowing in from the Gulf Coast. Nearby Marco Island is known for its close community feel, beautiful sandy white beaches and gorgeous color splashed sunsets that you can take in overlooking the sparkly blue water. Naples has a well developed downtown area and plenty of places to walk, go to a local park or check out the historic areas. The Naples Pier is not far away and it offers picturesque walks watching the sun set over the Gulf Coast. Tiburon is located at the corner of Airport Pulling Road and Vanderbilt Beach Road. Aside from its famous golf courses, there are also popular dining destinations in the vicinity that includes the Restaurants at Marco Island Esplanade. They are located among great shops and a marina, all set on Smokehouse Bay. This Italian style village center houses fine, luxury waterfront dining options where the wine is expertly paired with the freshest seafood you have ever tasted. There is covered parking, a waterfront courtyard and beautifully adorned water features throughout the property which make walking around a pleasure. After dinner, enjoy a coffee or tea at a local coffee shop or end the meal with a creamy treat from the ice cream shop. At the Esplanade, you will find two art galleries, specialty shops for children and adults, a hair salon and spa, a bank, jewelry stores and a nice variety of designer shops and local boutiques. There are also plenty of shopping and dining options in the nearby five star beach resorts in Naples and in Naples’ downtown area. Naples is known for its beaches, but it also has a thriving cultural scene. The Baker Museum is a part of the Artis Campus and it is a three story, thirty thousand square foot vicinity that is home to an amazing collection of art available to the public for viewing and appreciating. It is considered to be Southwest Florida’s home of the visual arts. It features exhibits with an emphasis on modern and contemporary art. It boasts diverse art installations throughout the year, as well as long standing exhibits. There are educational programs offered, studio tours and an art gift shop. It’s a great place to spend an afternoon out of the heat, admiring some rare talent. The Barbara B Mann Performing Arts Hall is another nearby cultural attraction. Symphonies, musicals and a variety of plays are all performed at this venue. It is located on the campus of Florida Southwestern State College and offers attendees free parking. Each hall offers plasma tvs showing the performance, so you won’t miss anything if you have to get u from your seat. These are just a couple attractions that you can take advantage of when you live in the Tiburon community.